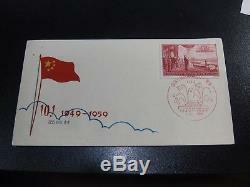 CHINA PRC 1959 C71 10th National Day Unaddress First Day Cover. Fresh and very fine condition. Please see Picture of Detail. 511 South First Ave Suite 132. Fine Stamp and Postal History of the World. The item "CHINA PRC 1959 C71 10th National Day Unaddress FDC VF" is in sale since Friday, September 21, 2018. This item is in the category "Stamps\Asia\China". 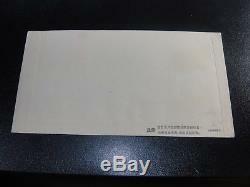 The seller is "kennystamp" and is located in Arcadia, California.